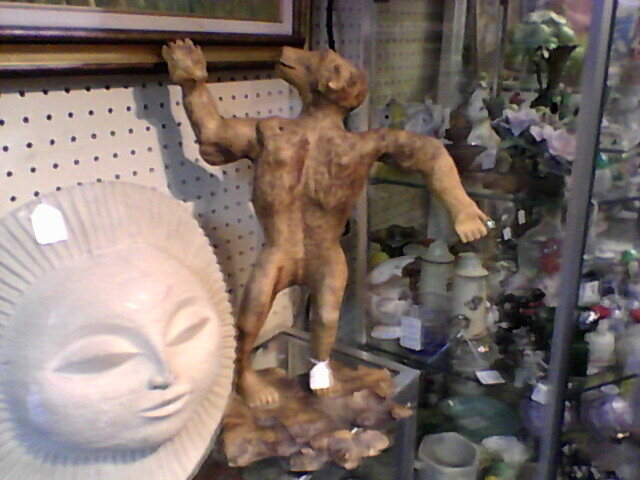 I saw this fine piece of sculpture in an antique shop over the weekend. I’m guessing its an idol of an unspeakable baboon god, wrested from the household of a person wholly without taste. Hmmmm…not quite unspeakable enough, I don't think. might make a decent gnoll, if dressed up and painted right. My grade 9 sculpture project resurfaces yet again.